Standard scooters with handles. Set of 6 colors. 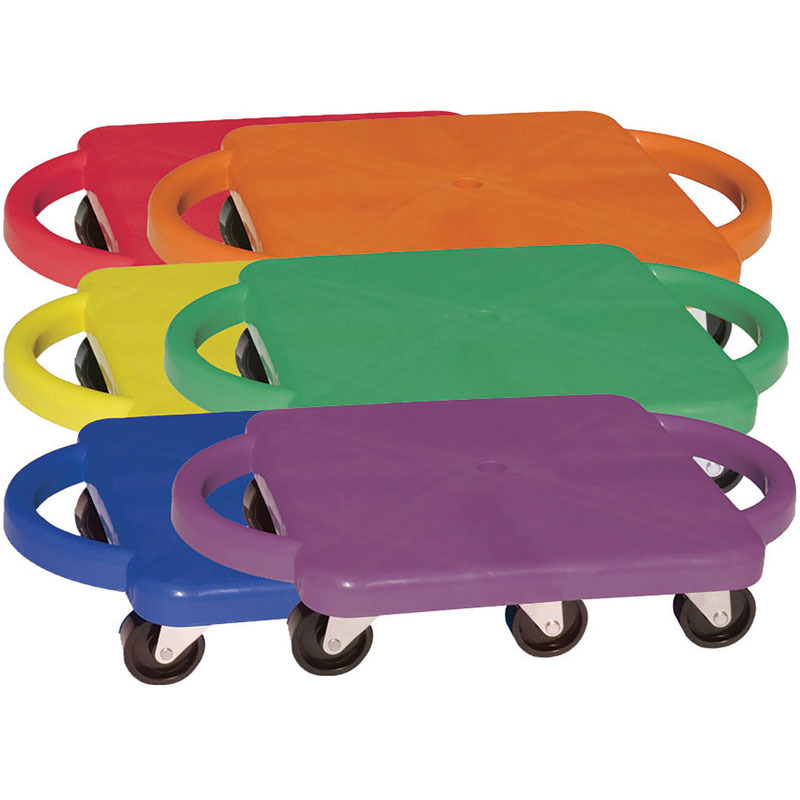 Available in Blue, Green, Orange, Red, Purple, and Yellow.Great for gym activities.